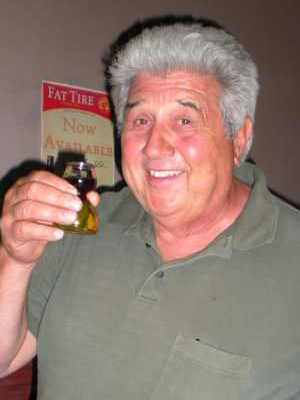 Bill Margis was 78 years of age, when he passed away January 28, 2019, at his home in Prior Lake, MN. His Celebration of Life will be on Saturday, Feb. 2, at 11 am, with a time of gathering starting at 9:30 am, at Ballard-Sunder Funeral and Cremation 4565 Pleasant Street SE, Prior Lake. Pastor Susan Rothschiller will preside the service with luncheon to follow. Burial will be Monday, Feb. 4 at 11:15 am. (assembly area 2) at Fort Snelling National Cemetery, with military honors by the Fort Snelling Rifle Squad. Memorials are preferred to the family. In Spring Valley, IL, William Frank was the second of two children born to William Frank and Mary Elizabeth (Alosus) Margis. Growing up in the nearby town of Oglesby, he was grateful to have his grandma live with the family. She was very influential in raising him and shaping him as a young boy. Bill was an exceptional athlete. He was a championship swimmer and a talented basketball player. After graduating from high school in 1958, Bill worked several years at a cement mill. He wanted a new adventure and joined the United States Air Force. Bill was extremely proud serving his county during the Vietnam War. This experience also shaped Bill to be loyal, reliable and dedicated. For 32 years, Bill was a member of the FAA (Federal Aviation Administration), where he started a career as an Air Traffic Controller. He held a number of positions including supervisor and chief of several facilities. Retiring in 1993, Bill found himself missing his job and the people. He began working as a radio car guide for airport construction projects. While in the service, Bill married his first wife (Sandy) and was stationed in Japan, welcoming a daughter Tracey. As a family, they moved back to Fridley, MN. After separating with Sandy, Bill’s life was later enriched meeting Jan Bouman. They met when they both were attending a class to further their education. They started hanging out and after a quiet dinner date, the rest was history. Bill and Jan were married on June 1, 1979, at Prince of Peace Lutheran Church, in Burnsville, MN. They settled their roots in Burnsville and were blessed with a precious daughter, Lindsey. They later moved to Prior Lake in 2001. Family and friends were most important to Bill. He and Jan loved to travel, especially to the Caribbean Islands, Mexico, Europe and throughout the U.S. They loved to attend Louie Anderson comedy acts on Year’s Eve. Bill relished being a dad to Lindsey. He attended all of her sporting events and dance recitals. Bill was the entire team’s cheerleader and critic. He was so proud of Lindsey and her accomplishments. Lindsey met her husband, Tyler, and Bill was thrilled to gain him as a son-in-law. He could tell that Tyler took good care of Lindsey and Avery and that meant everything to Bill. The last four years, Bill has been a proud ‘Ba’ to granddaughter, Avery. They spent countless hours tending to his flowers and vegetable gardens. Avery is just like Bill, she has a great sense of humor and is very intelligent. They had a strong bond. Bill’s life was full. He loved the outdoors! Bill enjoyed playing golf, fishing year round and loved to cook. He was an avid Minnesota Vikings fan, with over 20 years as a season ticket holder. Lindsey was able to surprise him in December and take him to a game at the new stadium. He never thought he’d be able to see it. He was so surprised! Skol Vikes! Bill had this amazing personality. He was genuine, strong willed, yet very comforting in his words. Bill was proud of his Lithuanian roots and was a wonderful caregiver and husband to his wife Jan. The last six years, Bill suffered from Pulmonary Hypertension, resulting from complications during a surgery. Through it all, Bill remained strong and was determined. Now his values and legacy live on in the hearts of his loving wife, Jan; children, Lindsey (Tyler) Margis Bonine, Tracey (Robert) Margis Headings; granddaughter, Avery Bonine; sister-in-law, Connie Margis; other family and friends. My deepest condolences to all of you. I truly enjoyed Bill’s smile and infectious laugh. He will always be remembered. Heartfelt sympathy to Lindsey and the entire family! Be kind to yourselves during this trying time. Take care! What a guy that Bill! I know your hearts hurt now, but remember all the good stories and words and laughter (and tears) friends will share with you in the coming days and weeks. His joy of life spread to everyone around him. I remember him ‘baby-sitting’ Luke and Lindsey summer of 85 and even Lindsey called him Daddy Bill, like Luke, by the end of the day. He handled both toddlers like a pro! Remember the love, it stays with you. Bill will be greatly missed ! I enjoyed chatting with him . He had a great personality & great hair! Jan & family, I will pray for your peace. Jan , if you need anything please reach out to me. I think a lot of you & Bill. Jan…My sincere sympathy to you and your family for your great loss. My thoughts are with you at this difficult time.